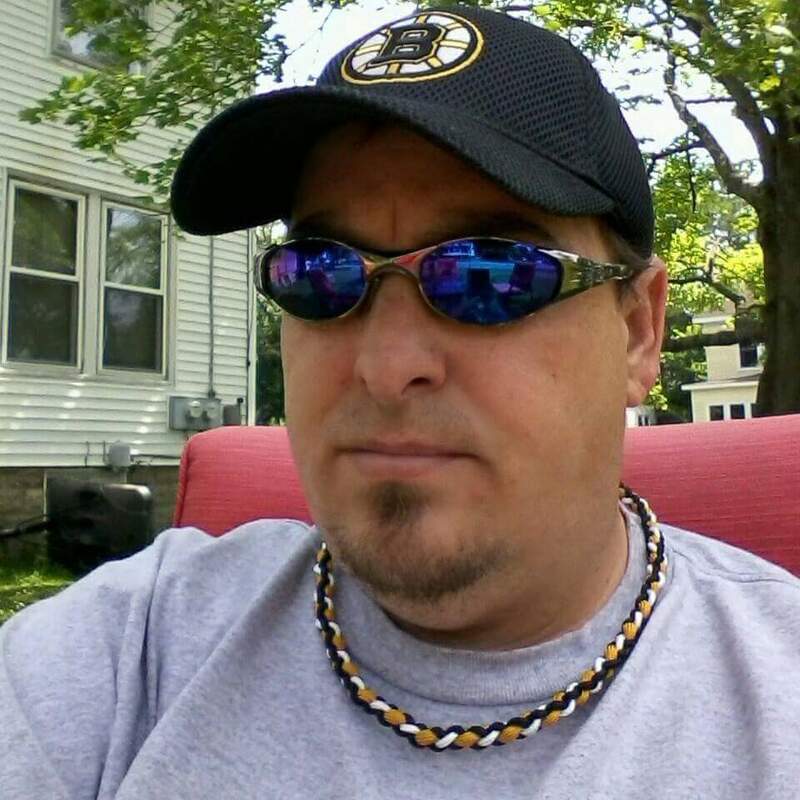 Biddeford, ME - Chris G Fredenburg, 44, of Saco, passed away suddenly of a heart attack on Wednesday, January 11, 2017. Chris was born in Bradenton Florida, on October 24,1972, the son of Catherine Fredenburg of Portland, Maine and Glen Alday of Florida. Chris graduated from Portland High School in 1993 where he was a two sport athlete, playing both football and hockey. He worked many jobs throughout his life; working at Pratt Abbott in South Portland, Portland Press Herald & Emery Waterhouse in Portland. Chris was loved and respected by many co-workers, family, and friends as well as his second Munjoy Hill "Family"
Chris was a laid back man who was a humorous, care taker to all of those that he loved. He had great talent making paracord bracelets, necklaces, key chains, etc...His other interests included the NY Yankees, The NY Giants, Boston Bruins, and Madden Mobile Football, as he had a love for sports. Chris's favorite past time was spending time with his beloved children Casey and Colby, his partner & friend Clarissa Merrifield. He enjoyed visits at "Mom's house" hanging with Mom, nephew Andrew, sister Tonya, brother Jason and Uncle Jr. His visits will be missed by all especially his love of music when he would share his vast knowledge in his "name that tune" game. Besides his mother and father, Chris is survived by his children Casey & Colby Fredenburg; sister Tonya Fredenburg and his brother Jason Fredenburg. He also leaves his partner Clarissa & her Children, Nephews Andrew, Truper and Pryce Fredenburg, Uncle Jr and Uncle Mike and Spouses and Aunt Judy Hall, as well as many beloved cousins & friends. Relatives and friends are invited to attend a Mass at St. Anthony of Padua Church, 268 Brown St. Westbrook, on Saturday, January 21, 2017 at 11 a.m. In lieu of flowers donations are greatly appreciated to Catherine Fredenburg, 541 Brighton Ave, Portland, ME 04102, to help with a memorial head stone for Chris or a donation to the American Heart Association in his name. God Bless.